Blue Ribbon Transportation provides residents and travelers in Sarasota luxury sedans and passenger vans to get you to Port Tampa Bay in style! We are available 24 hours a day, 7 days a week for your transportation convenience. Services include Airport/Cruise transportation, Weddings, Wedding guests transport, Bachelor Bachelorette parties, Sporting events, Group Nights out, point to point service, Birthdays and Anniversaries, Proms, homecoming and more! Be sure to visit our Facebook page for any upcoming specials and or events! Our limo services will also help you avoid expensive cruise parking. Rest assured you are making the right choice when you book your airport transportation with Blue Ribbon. There are several ways you can reach us. 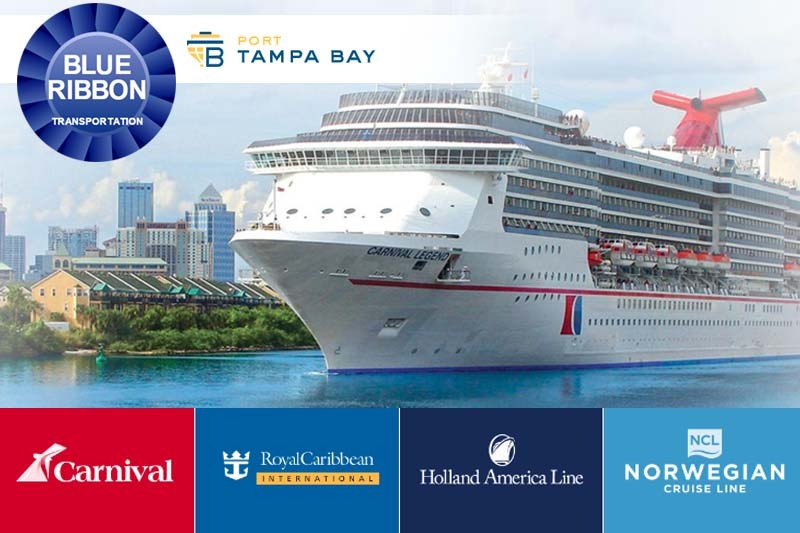 Click on one of the links below to book a Port Tampa Bay Cruise Transportation Service now or to make a future reservation.